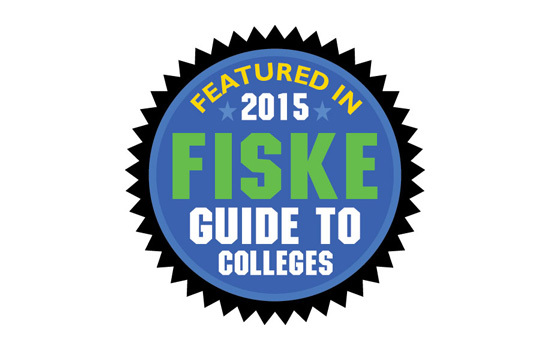 The Fiske Guide to Colleges is once again recognizing Rochester Institute of Technology, this time in its 2015 edition. Fiske praised RIT for preparing students for the workforce, noting that more than 3,500 students are placed in full-time paid positions through the university’s co-op program. “RIT specializes in carving out niches for itself with unusual programs, and majors are offered in more than 200 fields, from electrical and mechanical engineering to packaging science and bioinformatics,” the guide states. Compiled by former New York Times education editor Edward B. Fiske, Fiske Guide to Colleges 2015 is a selective look at about 300 colleges and universities in the U.S., Canada and Great Britain. There are more than 4,000 colleges in universities in the United States.